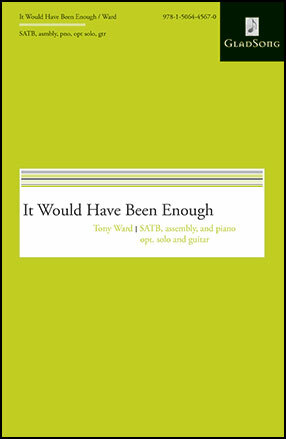 Tony Ward has joined the tune DAYENU and portions of a homily by Father Roc O'Connor to create a gorgeous composition. 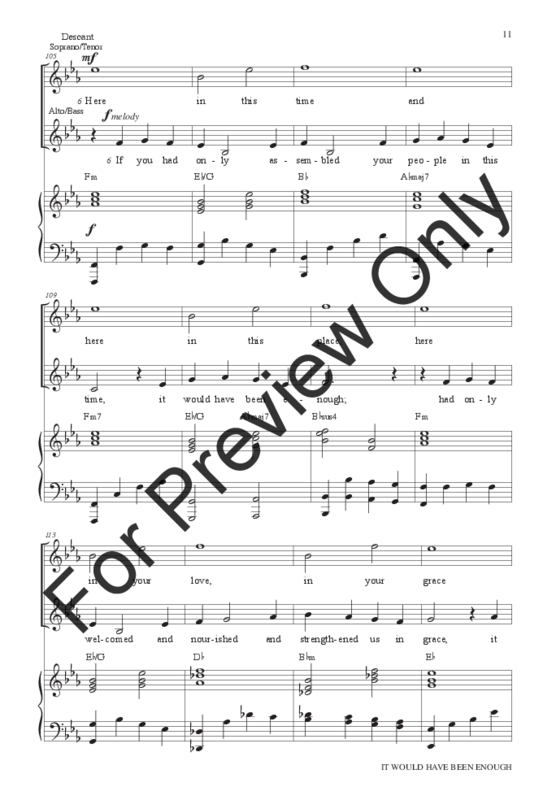 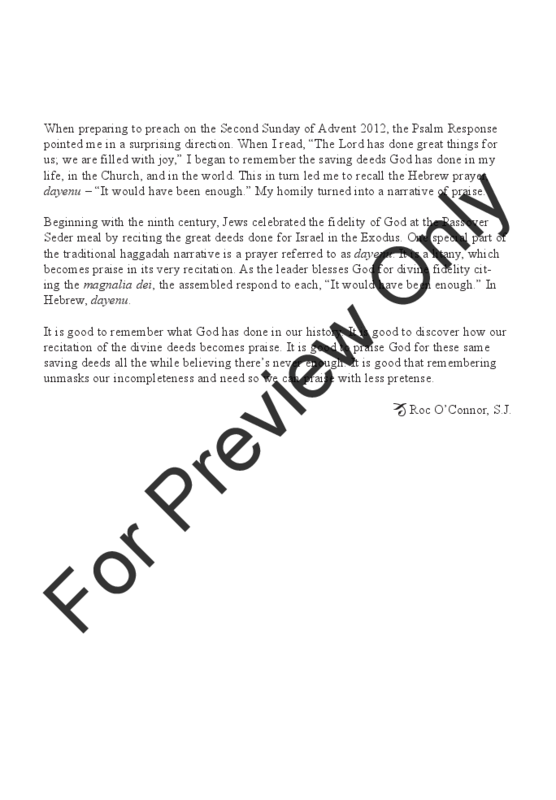 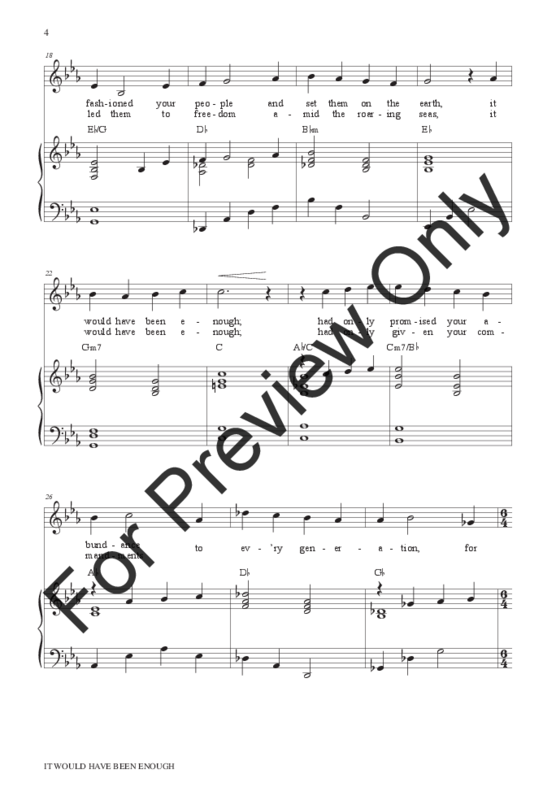 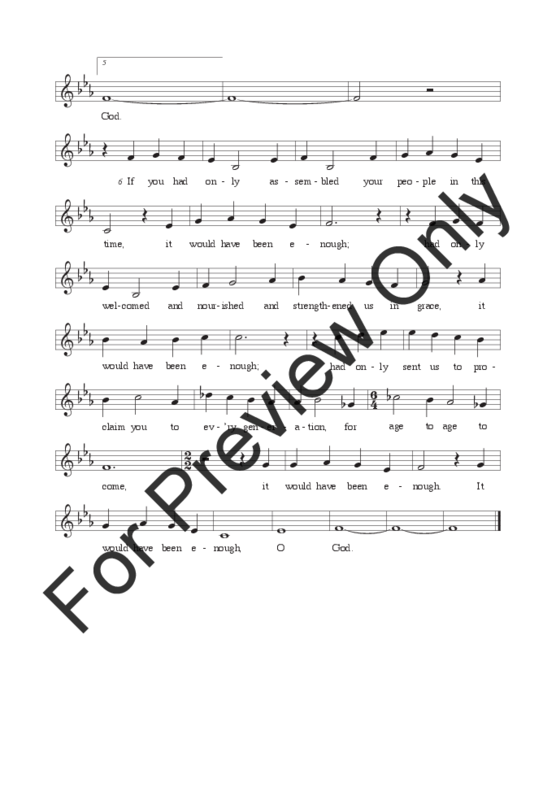 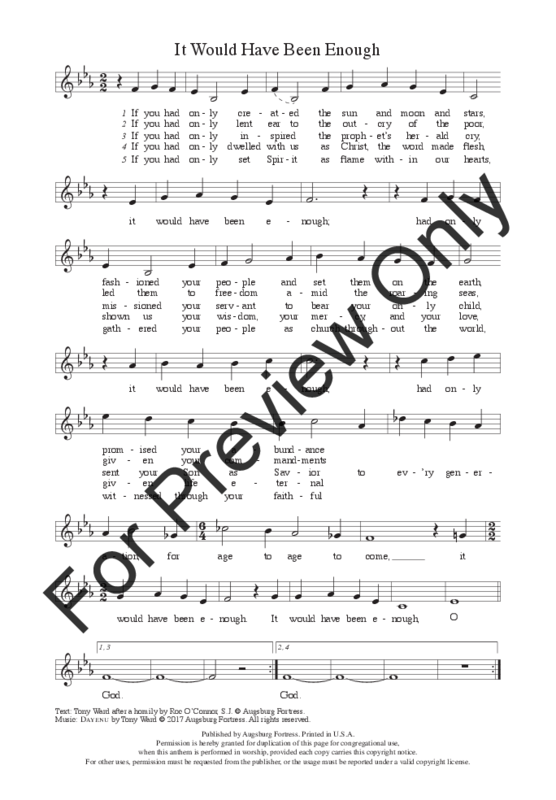 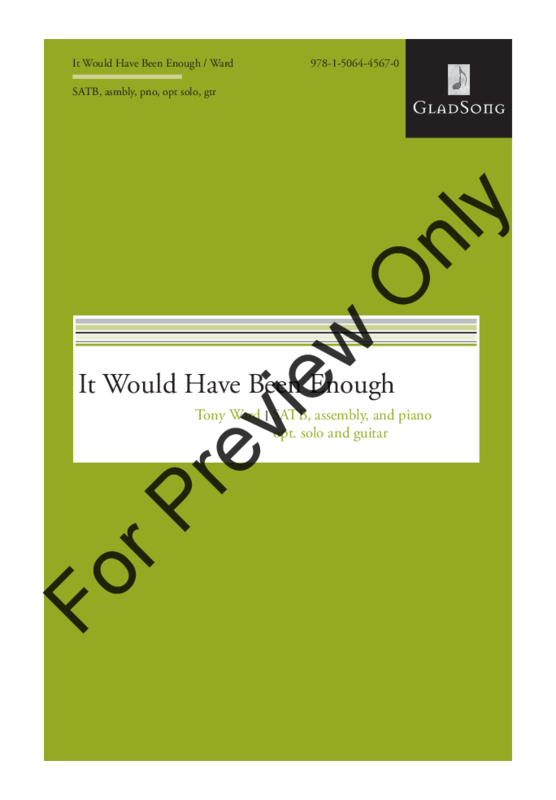 Incredibly adaptable, it features a wide variety of verses that can be utilized to feature soloists, small groups, or individual sections of the choir at the discretion of the conductor. It also features a lead sheet that contains the optional congregational and guitar parts to make it accessible to performances of any shape or form.